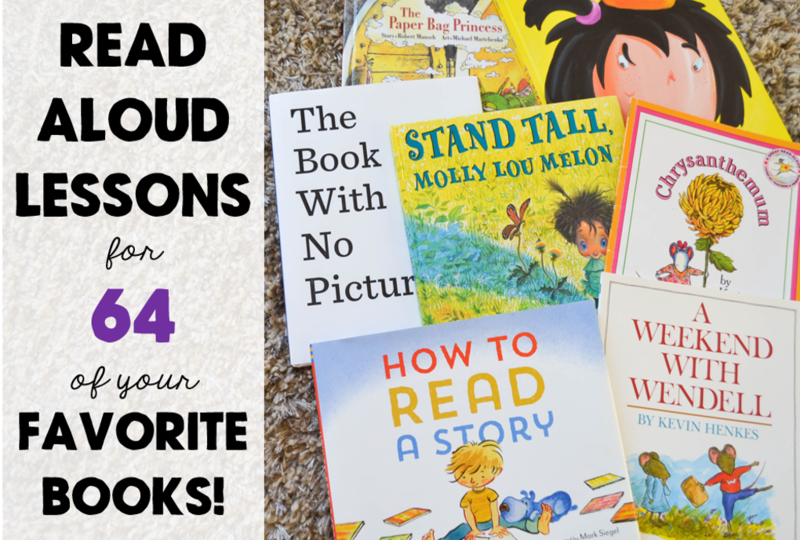 Blog Hoppin': Interactive Read Aloud Lessons in Grades K-2! Interactive read aloud, do you do it?! In my first grade classroom I used to have the class sit down after lunch/recess and I would read them some of my favorite books – Junie B., Flat Stanley, etc. It was a time to calm down, enjoy a good book, and get ready for an afternoon of learning. I wanted to save and protect this precious time when the talk of “rigor” and “time on task” would come up often in professional discussions. A little planning can put this read aloud time to good use and prove to be academic as well as enjoyable! 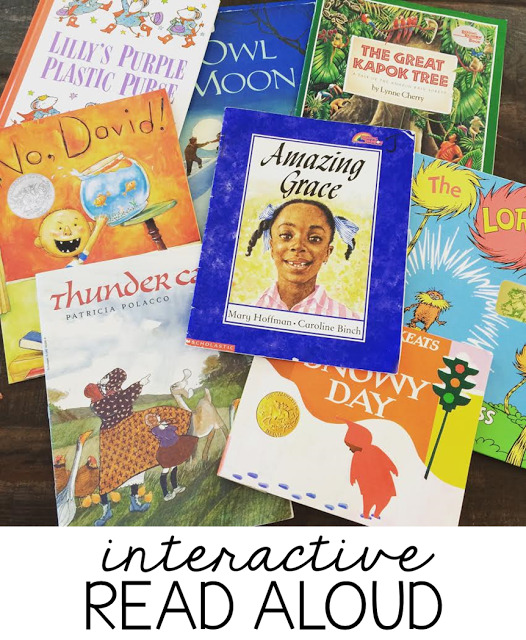 Interactive read aloud is essentially a planned and purposeful read aloud that encourages thoughtful and respectful discussion! An interactive read aloud has your students actively thinking about one certain skill during a read aloud. It is a skill that the teacher will model and that students will discuss throughout the read aloud. It takes your basic read aloud and turns it up a notch (or two!). I would always ask comprehension questions throughout my regular read alouds, but I found that when I really research and plan my questions and stopping points before hand, I could provide a deeper discussion for my students! I figured since I was planning out all these lessons around my favorite books, I would start writing down my stopping points and questions in case other teachers wanted to use them as well! I created a scope and sequence of skills that I teach throughout the year and found some of the best classroom favorites to help teach those skills. Each book has a convenient, 1-page printable lesson plan for you to reference as you read. I have a free one here for you to try that goes with the book Officer Buckle and Gloria by Peggy Rathmann I use this book at the beginning of the year to help teach the concept that illustrations can give readers more information than the text! In my first grade classroom, I actually have a specific interactive read aloud block, but if you don't you can see that the read alouds can easily be used in your guided reading block, small group, or even to print out and add to your sub plans!